Welcome! If this is your first encounter with the Yamaha MONTAGE, this short guide can help find your way around. You are about to experience a milestone synthesizer. Not only new in concept but a new level of sonic clarity. You’ll want to experience the MONTAGE under the following conditions: through a quality stereo sound system and with the optional FC7 sweep pedal and an FC3A sustain pedal. Nine short and informative videos to help you get more from your MONTAGE. We know that the original MOTIF XF Performances were four PARTS, with just two Assignable Knobs per PART and no COMMON Assign Knobs; it had just six Control Sets per PART... We’ve been exploring the possibilities using this data to build upon. Let's take a look at the impact of adding additional PARTs to an existing Performance. In this article, we'll be expanding on the MOTIF XF Performance data. All month we’ll take a look at what the MONTAGE MIDI situation is all about. With the release of firmware version 2.00, MONTAGE can now boast both Voice and Performance compatiblility with the Motif XF and MOXF. Building on the Performance programming found in its predecessors, we've been using this data to learn what MOTION CONTROL brings to the table. These tutorials are meant to get you started exploring the possibilities. Follow along, step-by-step, as we reveal some of the navigation shortcuts and we take a close look at the relationships between Source Controllers and Destination Parameters. Scuba gear, ready? 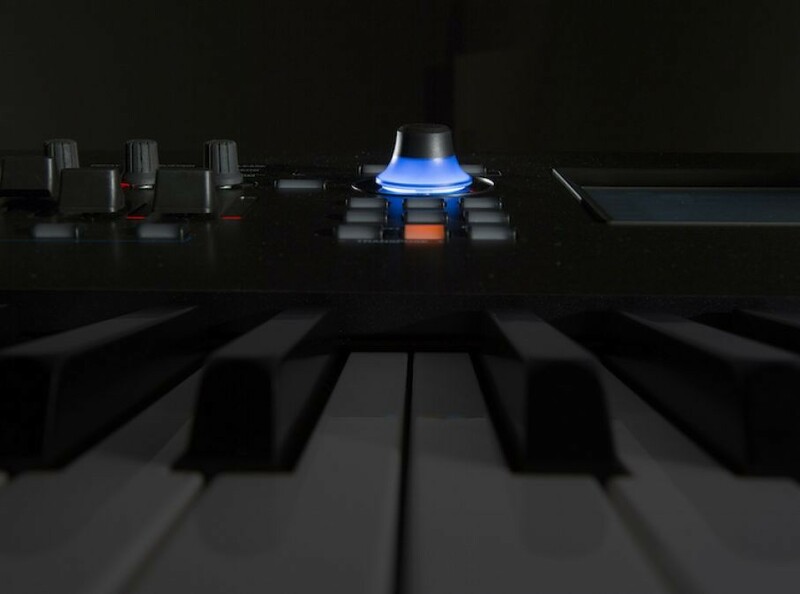 Velocity is a fundamental controller that can be used to great affect throughout the synthesis engine. You can apply Velocity to control amplitude (loudness), but also pitch of the Oscillator, tone via the Filter, you can apply it to things like triggering Arpeggio phrases, etc. We'll take a fundamental look at its most common use: to control "how loud" we are playing. The MONTAGE Music Synthesizer is a great choice for live and touring musicians. This article provides an overview for both musicians and backline companies using MONTAGE.